Please use the discount code shown below to obtain the discounted price for this event. 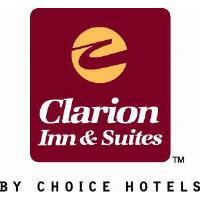 Clarion Inn and Suites. is a mile away from Bruce's Field. We serve a free full hot breakfast from 6 am till 9 am. 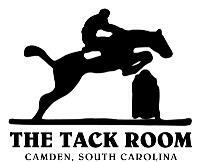 We have a 65.00 horse show rate for either a room with one bed or two beds. We also waive the pet fee so your pets are free to come along with you at no extra cost. If you need to book rooms please call us directly and we will make sure that you get our special pricing. Ideally situated between the Whiskey Road corridor and historic downtown Aiken, and only 1.5 miles away from Bruce's Field, Fairfield Inn & Suites is an ideal choice for guests of the Aiken Summer Classic. Fairfield Inn provides daily breakfast, complimentary wifi and parking, an indoor pool, and outstanding service – at an exceptional value. Located 2 miles away from Bruce's Field in the heart of the Whiskey Road corridor, TownePlace Suites is perfectly suited to welcome guests of the Aiken Summer Classic. 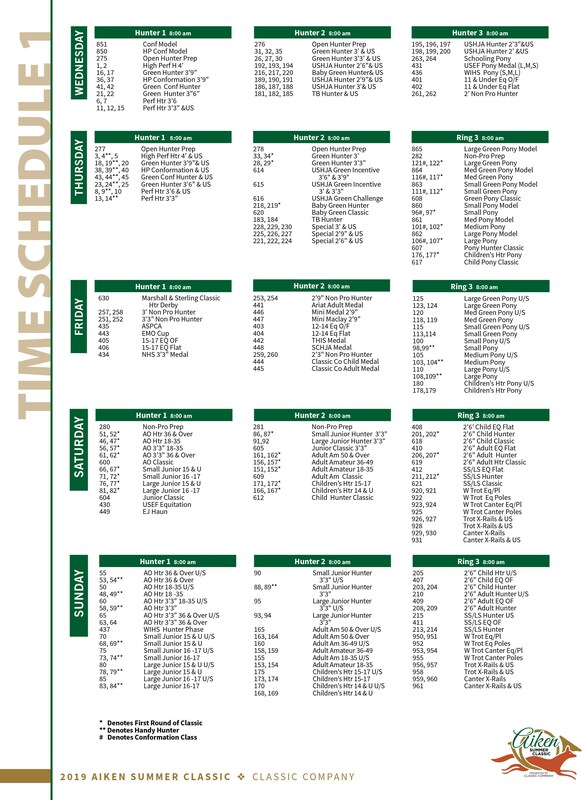 TownePlace Suites is Aiken’s only extended stay property, offering luxurious suites with full kitchens. Pet-friendly suites are available with a $100 pet cleaning fee. TownePlace Suites' amenities--including an outdoor pool, patio with grill, complimentary guest laundry, wifi, parking, daily housekeeping and breakfast--are sure to make you feel right at home. The Classic Company was founded in 1989 by Bob Bell and produces world class show jumping events spanning four states and six venues for more than twenty weeks a year. 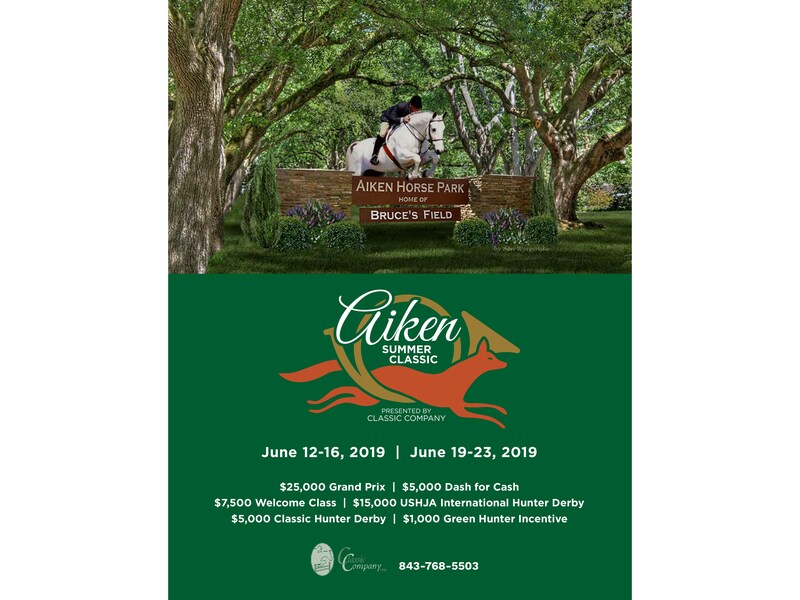 Despite its humble beginnings as a boutique horse show in Charleston, South Carolina, Classic Company has grown into one of the major circuits in the country offering world class competitions, while never losing its boutique show appeal with an emphasis on southern hospitality. The “one of a kind” feel of Classic Company events provides sponsors an opportunity only found at Classic Company shows. The Classic Company offers businesses the backdrop to stand out in the most unique way at Classic events, to reach your audience through several mediums, all with the complete collaboration of a dedicated team of professionals. At the Classic Company, we embrace the equestrian lifestyle and we offer businesses the opportunity to reach this exclusive demographic through unique and effective marketing. Classic Company is dedicated to the ultimate development of creative marketing plans that will exceed your expectations. We offer the best rate of return on your investment and invite you to contact us so we can help you discover your business’ potential. 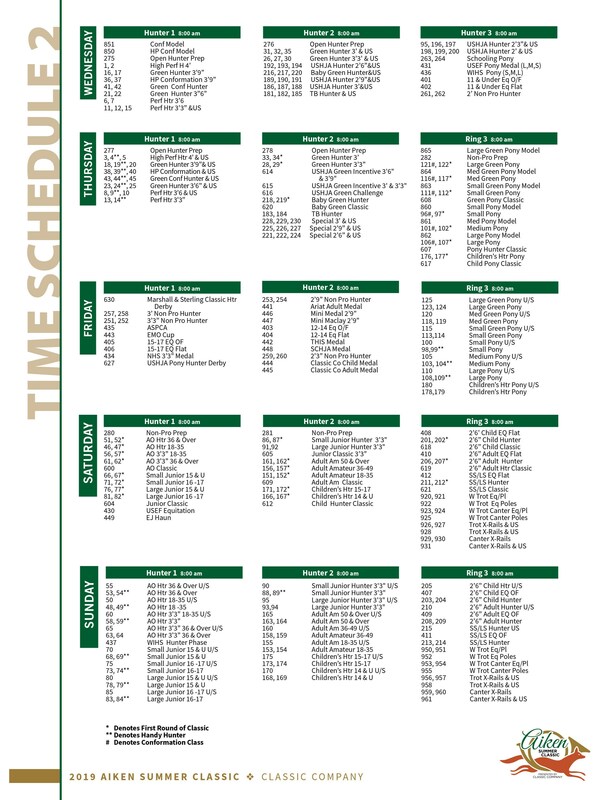 Please contact Classic Company’s Sponsorship and Public Relations Director, Lisa Engel at lisa@classiccompany.com or call her at 908.310.6248, for program advertising you can also contact Drew Coster at drew@classiccompany.com. Marshall & Sterling’s Equisport Division was created by insurance professionals to meet the demands of horse owners from competing professionals, dedicated amateurs and those who just plain love horses. Their client service and claims team is dedicated exclusively to support their horse insurance clients. One quick call to their office will provide instant answers to your questions. Claims are handled quickly and efficiently. They work to exceed every customer’s expectation for quality and service. Marshall & Sterling Insurance specializes in personalized plans that encompass a full range of extensive coverage options, uniquely tailored to fit your distinctive needs. Bohicket Marina & Market is one of South Carolina’s Best Kept Secrets. 90 dry storage slips, and a quaint market with its wonderful restaurants, shops, and offices. CWD innovation, knowledge, and skills use this synergy to create a wide range of saddles using advanced technology. Their innovative products are intended to help riders continually improve their performance, and go ever further. Discover why the best riders choose CWD. Devoucoux is a manufacturer of high end, technologically advanced luxury horse saddles. The company produces over 3,000 unique saddles based on 13 basic models. World class riders count on and use Devoucoux saddles to enhance their riding and horse’s performance. 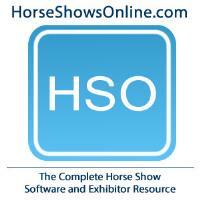 HSS Horse Show Software is a computer program for managing a wide variety of horse shows. HSS has been rigorously tested by seasoned show professionals at thousands of horse shows throughout North America. HSS is the clear choice of show professionals looking for the most reliable and feature rich solution for their show software requirements. Sidelines Magazine, now celebrating its 28th year, is devoted to the people and personalities that make the horse world exciting. Dedicated to sharing the lifestyles of all facets of the equestrian world, Sidelines brings all disciplines to life through award winning stories and beautiful photography. 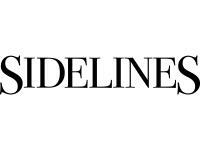 A national magazine, Sidelines takes readers on a journey by traveling to show circuits across the country. The Farm House's slogan is "We ride. We show. We know." They are based out of their Landrum, Tennessee location and have been in business for more than 30 years. The Farm House is an Official Mobile Tack Store of the Classic Company and brings its massive inventory to Classic Company events in the Gulf and Atlanta. Their staff of horsemen are always happy to help you at either their mobile shop or home base. Your horse is a valuable asset and a considerable financial investment. Protecting that investment with equine insurance has been EMO's specialty for more than 25 years. We've earned a reputation for providing horse owners with the highest quality of coverage, best customer service and quick claim settlement. That's why so many horse owners, trainers and farm managers nationwide trust their insurance needs to EMO. The leader in horse healthcare, FarmVet offers the best equine pharmaceutical supplies as well as health, therapy and grooming products for your equine partner. 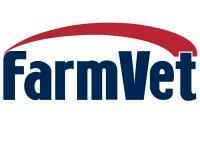 FarmVet also carries a complete line of barn supplies offered at the most competitive prices in the industry. Our goal is to ensure a pleasant, productive shopping experience for you with helpful, knowledgeable service. 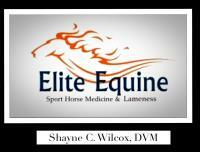 Our staff has an extensive background in racing, foxhunting, and hunter/jumper disciplines. With over 30,000 square feet of floor space in our home location of Camden, South Carolina, we are able to carry a large inventory, and we pride ours selves on speedy and accurate delivery. Through internal R&D, customer feedback, and quality ingredients, Finish Line® has become a trainer-recognizable name as a company you can trust to provide excellent products at great values. You don’t have to take our word for it. Product comparisons reveal our finest ingredients and dosage pricing shows our real value. Upon request, we can provide simple comparisons for you to see the difference.